One face is fixed to the equipment casing or vessel, while the other is fixed to the shaft and so rotates with it. Frictional heat generation and wear is controlled by maintaining a film of lubricant between the seal faces. 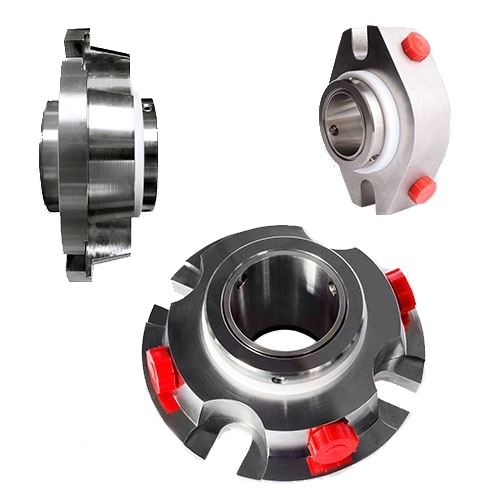 As such, mechanical seals resemble thrust bearings. UK Seals offers a large range of seal designs for specific pumps and applications across all industries. FDA specified complaint materials are also available for seals commonly used within the Food and Beverage industry. 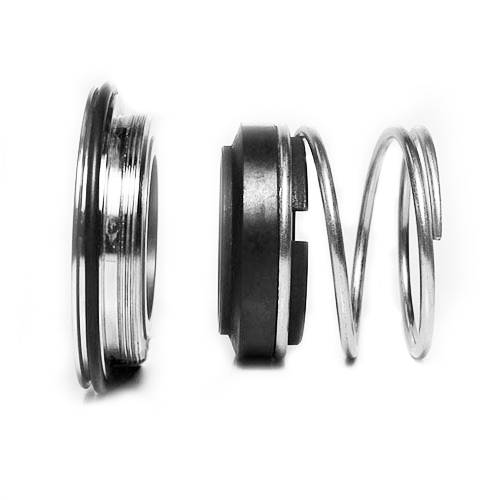 Modular design, balanced, multiple spring, ‘O’-Ring mounted cartridge seals with various bolt holes and flush port combinations. 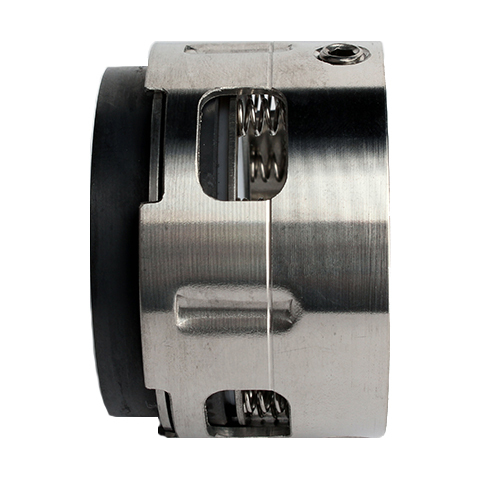 Designed for easy installation with gland dimensions for near universal fitting. Robust design for DIN and standard housing dimensions. With a wide choice of face materials, it is suitable for a large variety of applications - pumps, mixers, agitators, compressors and other rotary shaft equipment. Technically efficient and highly versatile. Suitable for virtually any application, especially for pumping media containing solids for hygienic applications due to the non-clogging and self-adjusting design. 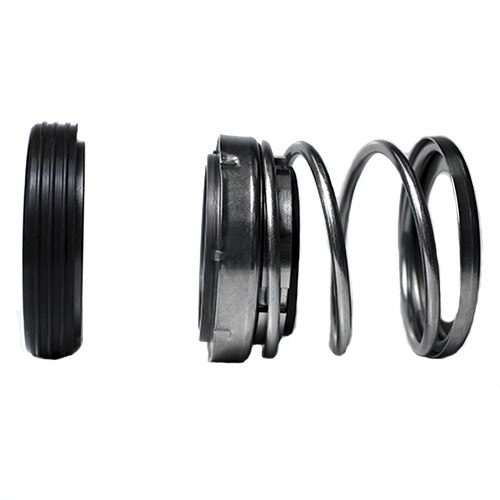 The accommodating single springs and elastomer diaphragms make this type ideal for general and demanding conditions. Highly proficient sealing covering all standard pump shaft working lengths and housing sizes. Robust design suitable for standard metric and imperial housing sizes. Commonly found in marine, textile, paper, refrigeration, wastewater industries and many more. 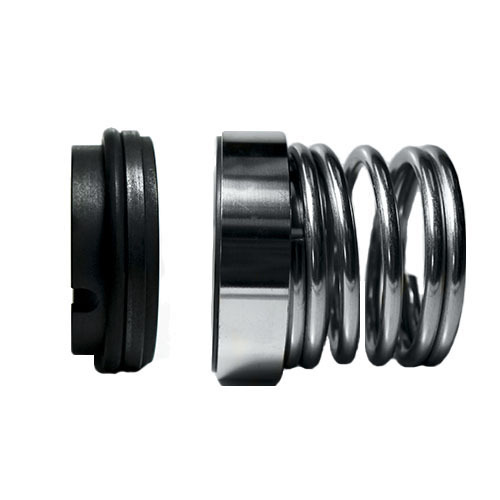 UK Seals' balanced and unbalanced Multiple Spring seal range for corrosive and demanding applications. Available as internal component and external Cartridge Seals, as standard with 316SS and triple phenolic carbon. Compact bidirectional seal originally designed for short working length and hygienic requirements, such as rotary lobe pumps. Ideal for pumping viscous liquids in the food, dairy, brewery and pharmaceutical industries. Cost effective and reliable seal used in high volume water systems - swimming pools, shower pumps, central heating and irrigation. Designed to improve seal performance and life where water interferes with seal faces. Wide range of stationary seals of different styles and materials to help you find the best combination of sealing faces for your application requirements. We can provide technical information on all our mechanical seals. Please contact us for more information or to request technical data sheets. 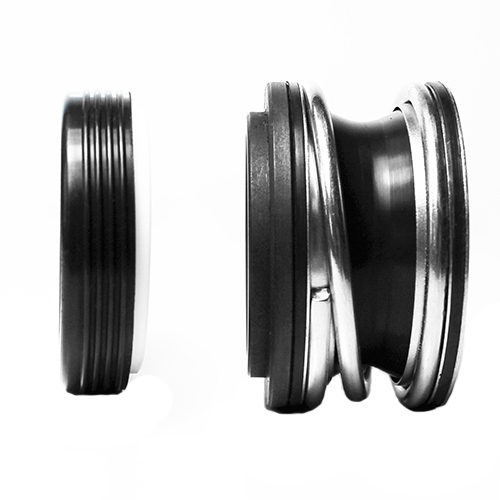 UK Seals supply all common industry standard Mechanical Seal types and dimensional standards. We also provide a huge range of equipment specific Mechanical Seal replacements for all major global pump manufacturers. Our seals are totally interchangeable with all other manufacturer’s equivalent seals. 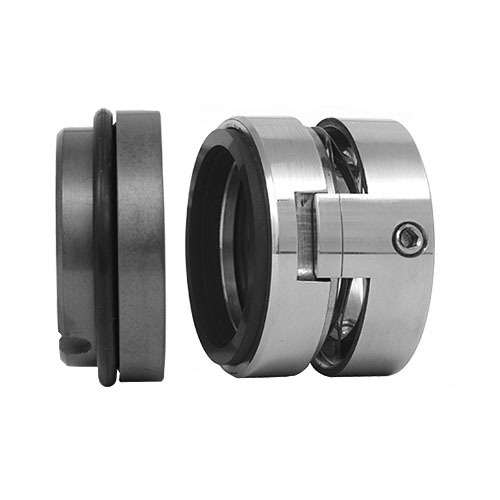 They do not require any modification to the existing seals housings and gland plates. The material quality is vital to the capability, performance and life of a seal. We therefore only specify superior quality seal materials. 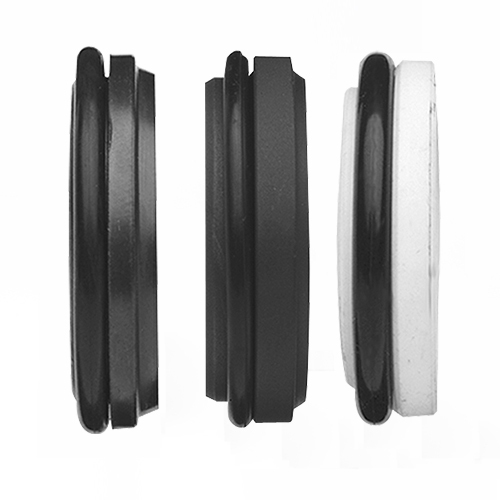 Our seals are proven to be durable and of high quality. • Reduced wear and reduced heat generation. • Tighter control of shaft leakage, true reduction of costs. We have heavily invested in even further developing reaction and sintered SIC and Nickel and Cobalt TC sintering processes, so that we can exceed previous Single Spring Seal norms. 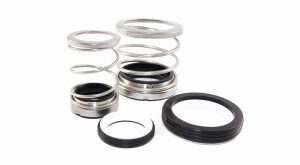 This focus on the best quality face materials is standard throughout our mechanical seal range. We also supply any standard or special mechanical design principle to fit your specific dimensional, equipment and application needs. These designs eliminate the common faults found in some original industry standard types through improved design, technology and material quality. Please contact us for more information on custom mechanical seals.